Rodents comprise of the biggest order of mammals, with up to 2,000 plus species. There are three suborders: Sciuromorpha (squirrel-like), Myomorpha (mouselike), and Cavimorpha (cavy-like). It is easier said than done to distinguish the wide-ranging rodent since there are a wide variety of them. There are in actual fact, several key distinctions that are universal too all of them; their large incisors, which they use to gnaw. Rodents have a couple of lower incisors and also a couple of upper incisors and the way rodents use their teeth is how they got their name. 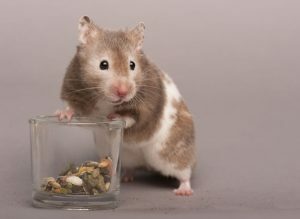 Many rodents have the ability to gnaw through extremely tough exteriors and without creating any damage to themselves. The enamel is only found on the face of the surface of the tooth and is way tougher than the dentine. In particular species of rodents, the enamel is even tougher, made so by a particular iron element and with this existence in the hamsters teeth for instance, is why they are a yellow colour, which is normal and healthy. Rodents’ incisors grow continuously throughout their lives and the contour of their incisors is normally symptomatic of the species of rodent or at least the suborder they belong too. The curvature of the incisors can give the rodent problems in some circumstances. If the rodents’ incisors become misaligned or if the rodent become too ill to eat for a length of time, with the incisors growing continuously the rodent would be unable to wear them down and eventually the incisors would grow too long to the extent they would pierce the roof of the mouth for instance and kill the rodent. Rodents do not have any canine teeth and a number of species frequently have no pre-molars, which then leave a toothless gap between the incisors and the molars. The space between the incisors and the molars [diastema] helps with the carrying of food and nesting materials. A variety of rodents can close their lips behind their incisors crossing the space, which is between the incisors and the molars so that they can still use their gnawing teeth whilst the mouth is closed. The rodent is then able to gnaw under water.